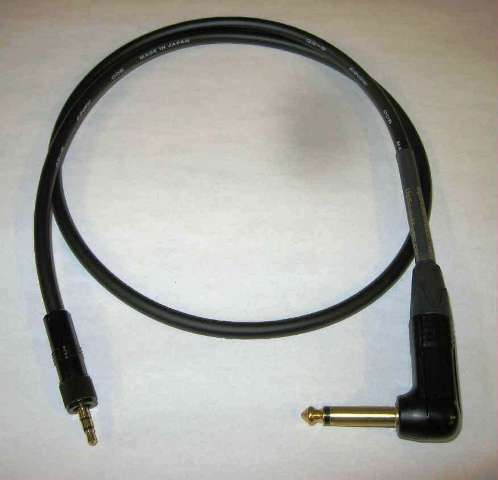 UpScale Professional Grade Instrument Cable - for connecting Guitar/Bass or Keyboards to Sennheiser body-pack transmitter. Low capacitance and low series resistance provides improved frequency response. Road Ready - for the working musician.